I really don’t like alcohol, the only exception being caipirinha, mojito and plum wine. So, you don’t use raw cane sugar in Brazil? Here in Germany, they always make caipi with granulated raw cane sugar (which is brown, but not the same as brown sugar you use in baking in the U.S.). I always use Pitu Cachaca – hope that this is a good choice! And no, I don’t serve it in wine glasses ;o))))). Pitu is a good choice, I should have included it, as it’s not that hard to find either. I will go back and edit…. 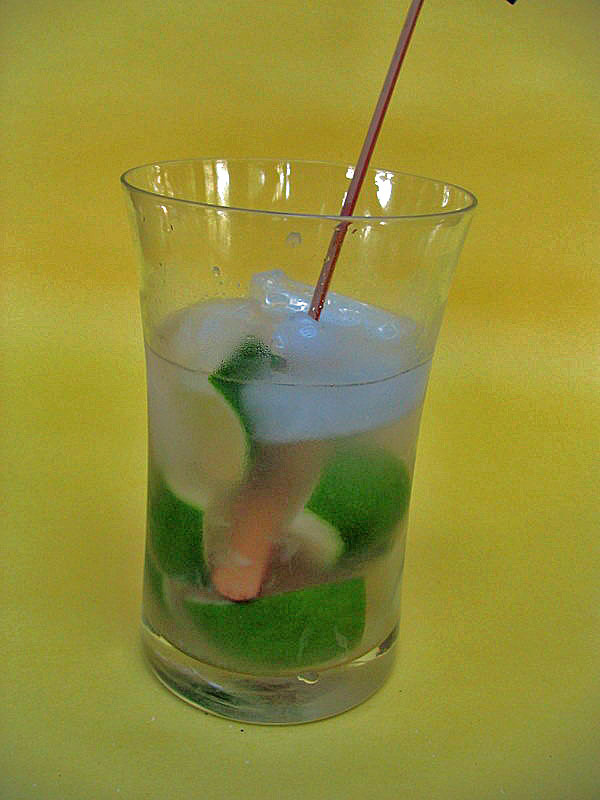 Te, as a member of the third generation of the Newton family, I must say you have to overcome your reserves and try the “lima da Pérsia” caipirinha. Lemon will be instantly forgotten! 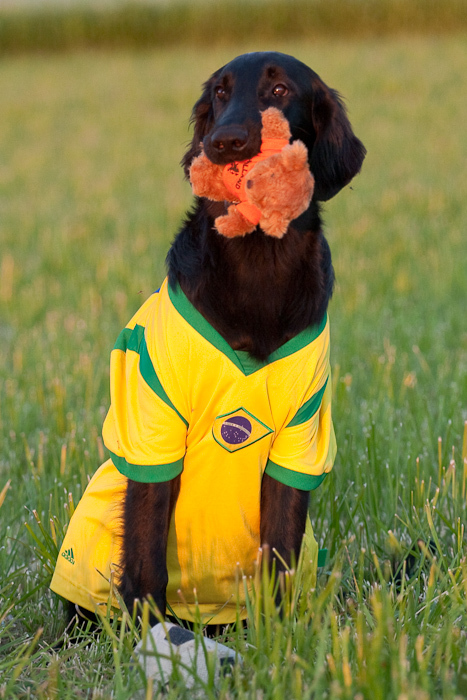 Good luck, Brazil! We will be all wearing our special robes, including my 2-year old and my 1-year old. Sadly, these robes will certainly not fit them in four years. Grandma will have to buy new ones for the next Cup, although we will keep these for good luck if Brazil wins!! not sure what “lima da persia” would be here – I’m wondering if it’s the same as Meyer’s lemons? – will have to investigate. If so, I cannot find it here where I live, but it’s very popular in California. I’ll try to find out more about it. In Recife I was taught to cut the lime pieces a bit smaller, then pound them in a mortar before adding the other ingredients (hard work, often given to the kids to do). This way gives a lot of juice so you do without the alcohol, but then of course it really should be called something else! We are very fond of “batida de maracuja’ ” – if I ever find the fresh fruit here, I’ll blog about it for sure: a real tropical treat! One of our best friends here in Tucson served in the Peace Corps in Brazil, even married a Brazilian woman, although it ended in divorce. Anyway, he has made this drink for us many times. I love it, but watch out!!! A caipirinha or two would definitely help me endure the vuvuzelas! 😉 Interesting to know about the glass choice. I’ll be sure to use a good, thick-bottomed glass. Can’t wait to make some proper caipirinhas! Good luck in the game tomorrow! I will find a robe, and wear it in honor of Brazil!